"Whoa, I love your braids!" my co-worker said to me. "I don't see fishtails enough." "I know, right? And now you get to see two of them! At once!" I've taken to wearing my hair like this more often, and when I waltzed into American Eagle one day, the bohemian influence was strong. My arms were filled with some clearance finds, one of them being this gorgeous dress! The maxi length and white color do make me think of wedding season, but I couldn't resist trying it on anyway. Naturally, I ended up loving it so much I had to take it home with me. So this summer has been going along splendidly, and I'm happy to have such wonderful people in my life to spend it with. There's one particular night where Caleb and I decided to scramble on the top of a roofed, bench area on our college campus. The wooden slats on top were spaced so that when we lay down, we felt like our bodies were being turned into Ruffle chips. However, when gazing up, the view of the stars was fantastic. Not to mention it was always a fun zing of excitement when ducking down to avoid security. We weren't harming the property by any means, merely taking advantage of the marvelous view it offered, but those security guards can get fussy at time, you know? Anyway, my Astronomy class that I'm taking this summer has been eye opening in the way I view the stars. I enjoy knowing the tales and myths that go along with the constellations immensely, and sharing them with others is always entertaining. Those Greeks were some seriously perverse story tellers - which is probably why their raunchy tales are known to this day! Haha, they certainly can be entertaining! However, as a Christian, I do enjoy learning the scientific aspect of things as well. It makes me wonder at His design and how perfectly it was created. Not to mention, beautiful! So much beauty is in this world if you stop and look. That flower crown is so lovely Linda! :) I love the dress too. Your friend is a good photographer! Such a gorgeous look for you. Love all things bohemian! Sometimes I wish I had gone more boho for my wedding, but since I didn't really plan it (courthouse), guess it is what it is. Best part is still being able to enjoy the fruits of marriage! Greek myths are quite interesting. They are entertaining in the sense that their stories are unique...but some of them also perpetuate this warped view of masculinity and femininity that can quickly become problematic. Either way, fascinating to learn about their explanations behind natural occurrences! You look gorgeous with your hair like this =)...I m really liking this look. Oh and thank you for your kind words and for stopping by my blog =) Thank you Linda. You look so pretty! This is one of my favorite outfit of yours! Seriously, I want to wear this entire look. Your climbing escapades sound a like fun, security are always trying to ruin people's fun. wow that dress looks so beautiful on you linda! and i just love the way you styled it with the floral crown! You look beautiful Linda! I love your hair, floral headband and dress. What an interesting course! It sounds fabulous. 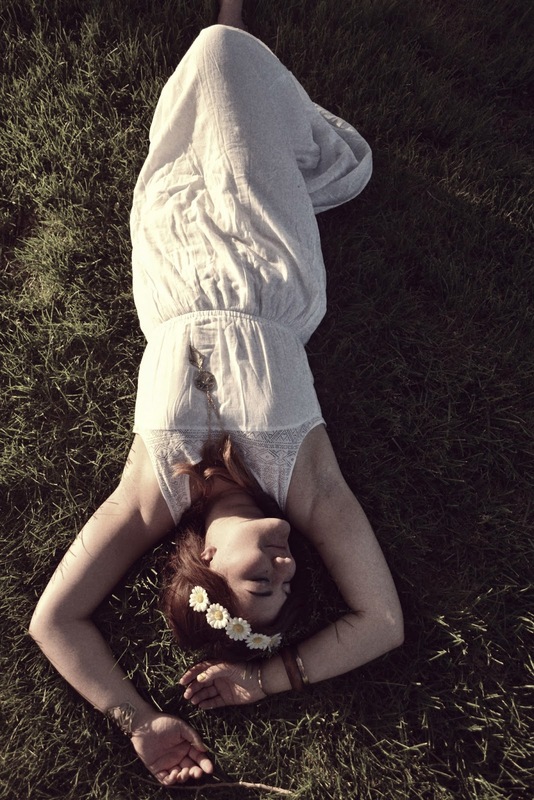 Lovely dress, I love white maxi dresses, and the daisy crown looks sooo sweet. I love the bracelet on your left wrist, where is it from? Oh Linda! So nice to see you posing and have fun and showing your creativity. That necklace is DIVINE. I love it. I am better but not well enough to pose. My skin is yellowish-green now days and that is not to be blogged about, seriously. i love your outfit!!! your white dress is perfect for just a day in the park and the flower crown adds so much character to the ensemble :) chic as always Linda! What a beautiful, bohemian, little stargazer you make. These photos of you are simply gorgeous; they have such a pretty, 70s, Free People catalog vibe. Oh, that dress is so lovely and I love that you wear yellow nails, matching the flowers on your head! well this hari style suits you so it's just about right that you wear it like this often. and summers are alwasy best spent with the best people in our lives, isn't it? by the way, you do look like a Bohemian bride, Linda. the dress us so neat and pretty! PS Thanks for your rad words of support on my blog. Totally made my day! ppppppS) oOoooooOoo STARGAZING ON A ROOF. That sounds absolutely magical and hehehe that's funny about ducking to avoid the security girls. So daring you are, Miss Linda! What a lovely bohemian look....the floral crown & the white dress both look so divine on you!! Really gorgeous photos, you look like a goddess. Love the floral headband and the eloquently matched yellow nails. You look like a true bohemian princess :), the flower crown is lovely! The security guards were probably worried about health and safety too. If you fell down and they had seen you up there maybe they'd be questioned as to why they didn't tell you to come down from the roof. I'm just speculating though, as security guards are often sticklers for certain things! WHite maxis for the win! Wow, how'd I miss this beauty at ae, its super pretty and white just looks amazing on you. 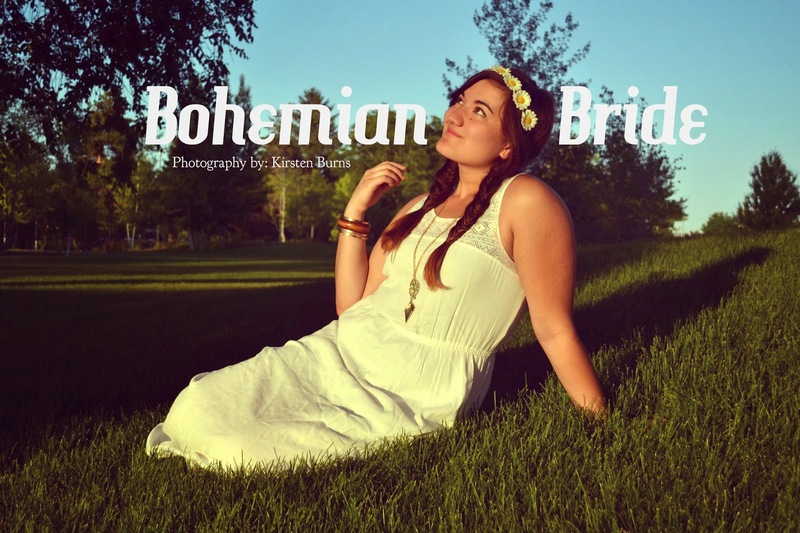 These pictures are so swett and dreamy as well, you totally have the whole bohemian princess look going on.